An ex-pupil of St. Francis de Sales has proved she’s an outstanding public speaker by winning the local heat of the Soroptimist International Schools Public Speaking Competition. Katy, now at Archbishop Beck Catholic Sports College, wowed the judges with her outstanding speech, her unique presentation and her sheer passion for her topic. 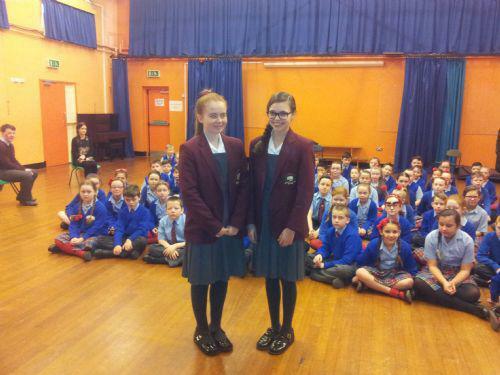 Katy and her fellow team-mate, Maisie, both started their public speaking careers as members of the highly-successful St. Francis de Sales Debating Team. It was lovely to see them back in school recently when they tried out their competition speeches in front of a very tough audience, our Year 5 children.